With orange blossom & argan oil. Rich, creamy lather. Leaves skin feeling moisturised. Dermatologically tested. Suitable for all skin types. Indulgent and moisturising. 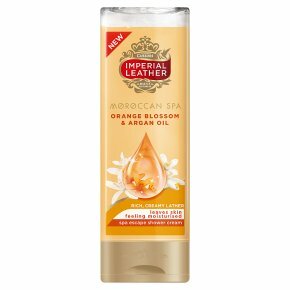 Our Orange Blossom & Argan Oil Shower Cream provides the ultimate pampering experience. Using our indulgent moisturising formula together with our rich and creamy lather, will leave your skin feeling moisturised. Our Master Perfumers have blended exotic floral extracts that take your senses on a luxurious journey.